Homemade Juice / Articles About Juicing / Juicing VS Blending — Which One Has The Most Health Benefits? 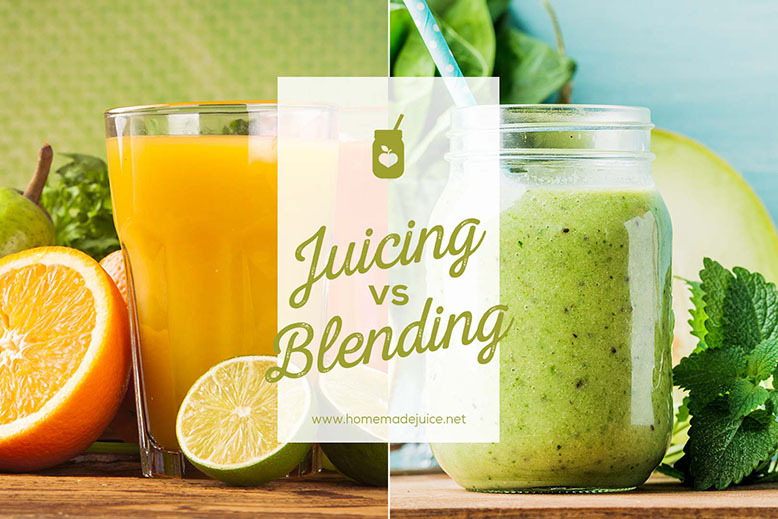 Juicing vs Blending — Which one has the most health benefits? 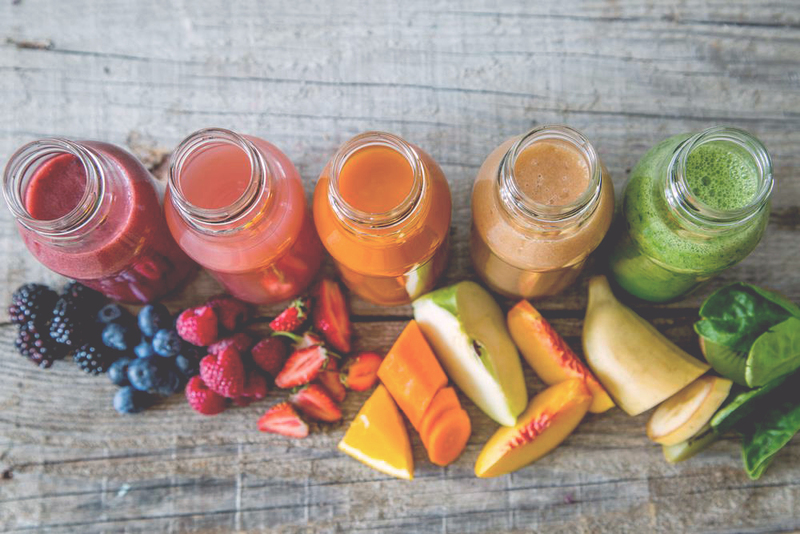 If like many, you are looking for an easy way to improve your health, you have probably asked the big question everyone is asking: "Which have the most health benefits, juices or smoothies?". There is a whole ongoing debate on the internet on juicing vs. blending, with people advocating for one or the other. This conflicting information makes it almost impossible to come to an educated conclusion. Today, however, we’ll be looking at the two, learning about the differences and finally help you understand which one is better for your health. But before we jump into the nutritional aspects of juices and smoothies, let’s first have a look at the most obvious distinctions. What's the difference between Juice and Smoothies? To make juice at home, you need a juicer. 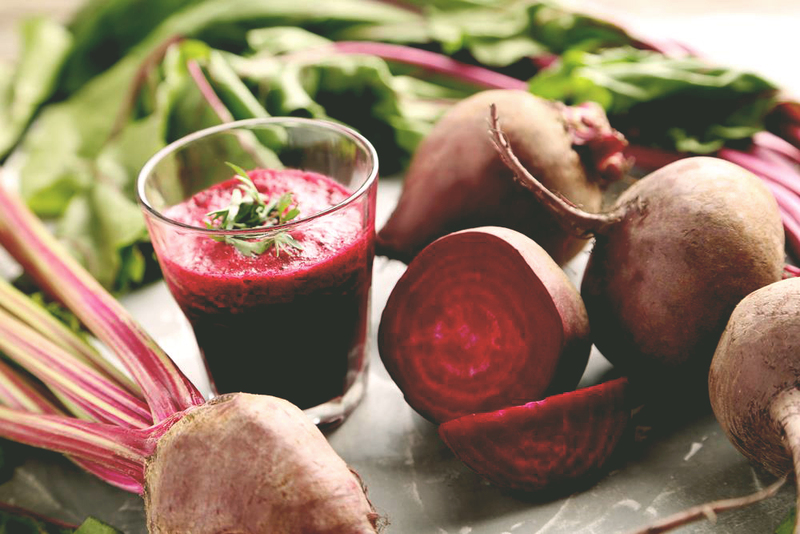 There are different types of juicers, and their juice quality may vary slightly, but the principle remains the same. They all work by extracting the liquid from fruits and vegetables while discarding almost all of the fibrous flesh. The result is a watery liquid, which usually includes some fine pulp, depending on the juicer used. 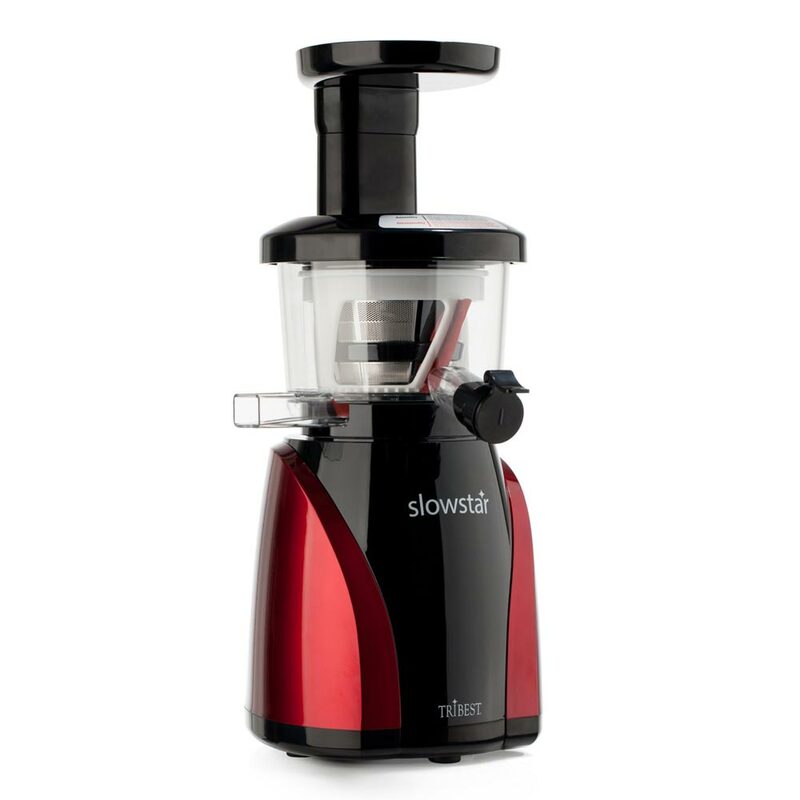 Some of the top juicers include the Kuvings C7000, Breville BJS600XL, Hurom HH, SKG Wide Chute, and the Tribest SlowStar to name a few. Now let’s look at blending. To make smoothies, on the other hand, you need a food blender. The whole fruits and vegetables are liquidized to form a thick drink which still includes the solid fiber. Usually, water, almond milk or some other kind of liquid is added to make the smoothie less dense and also help with the blending process. 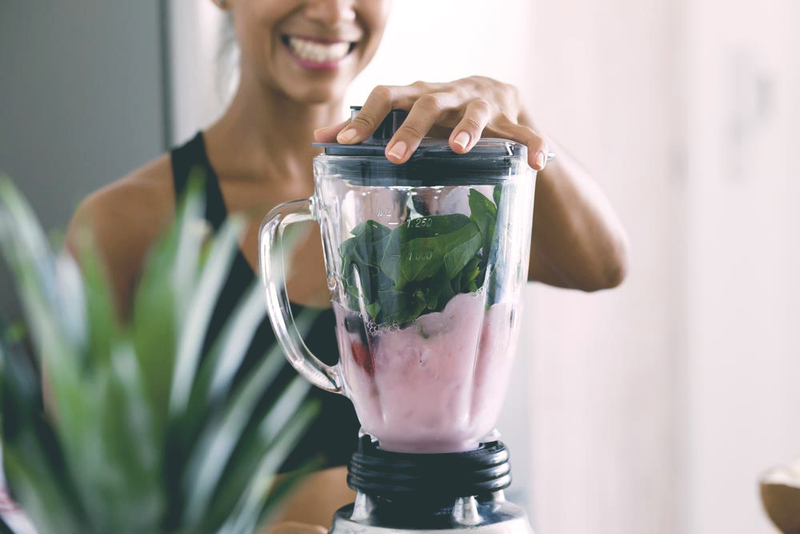 Top blenders include the Vitamix 5200, Cuisinart Hurricane, Nutri Ninja Duo, Dash Chef, and Kitchenaid Diamond among others. Which ingredients can be used in juicing and blending? Let’s look at the ingredients for juicing first. 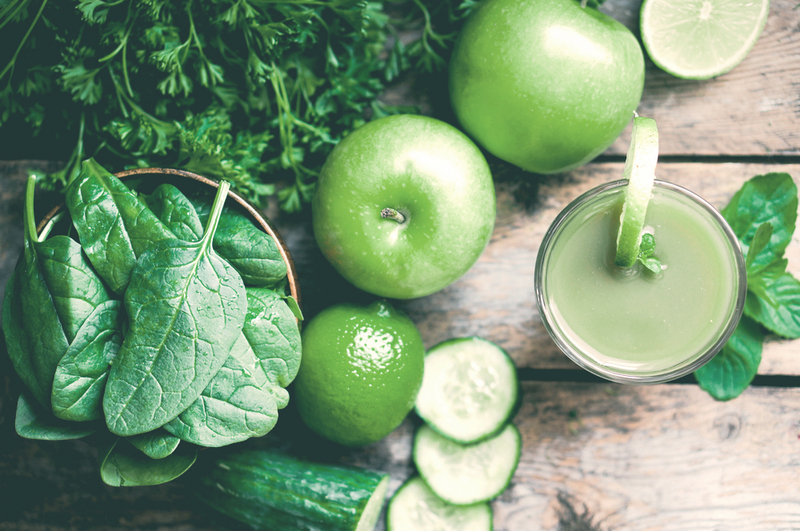 The ingredients you can use in juicing may vary slightly depending on the type of juicer you buy, but in general, you can use most fruits, vegetables, and leafy greens. Fruits commonly used in juicing are citrus, berries, apples and fruits of a similar consistency, and anything with water content. Popular vegetables include cucumber, celery, carrots, beetroot, zucchini, broccoli, etc. You can, and should, include nutrient-and-antioxidant-packed leafy greens when juicing. These include spinach, kale, collard greens, wheatgrass, chard, and parsley. Mushy fruits like avocados and bananas do not juice well and these should be blended instead. What about the ingredients for making smoothies? Smoothie recipes can include almost any fruit or vegetable, as blenders are quite good at liquidizing almost any ingredient, except very hard ones. You can include softer ingredients like avocados, melons, and bananas, which are not suitable for juicing. You can even add coconut and seeds like flax or chia — which again you can’t do with juicing. Not eating enough leafy green vegetables is considered as one of the unhealthy lifestyle behaviors which increase the risk of premature death (together with smoking, accessive alcohol consumption, and overweight). Most people have a problem eating enough leafy greens, and the same goes for vegetables and fruit. One way of including more of these into your diet is by adding them to homemade smoothies and juices. Adding some fruit will make up for the bitterness of the greens, turning it into an enjoyable drink. 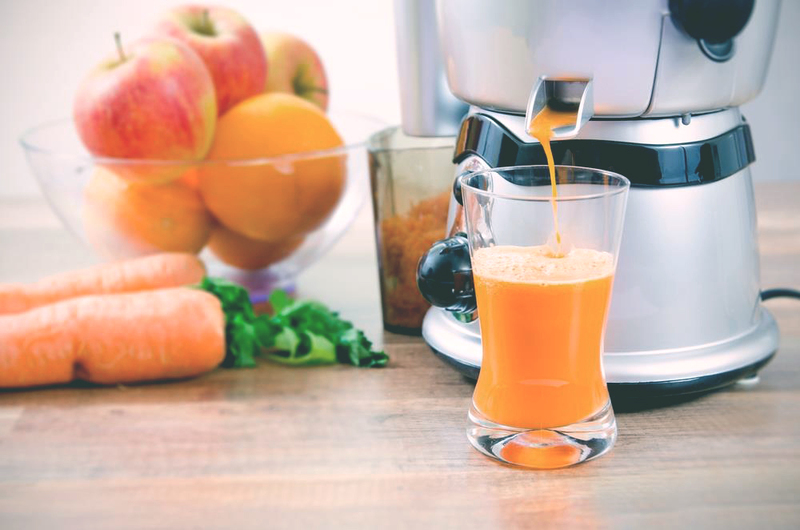 Besides helping with the quantity of consumed fruit and vegetables, both juicing and blending help increase nutrient absorption: they both break down the cell walls to release carotenoid phytonutrients like beta-carotene and lycopene trapped within the cell walls. So juicing and blending maximize the nutrient release from food to a level which is unachievable through normal chewing. Remember that nutrition is more about what we absorb, than what we eat. Which is the most nutritious? When you’re drinking a smoothie, you’re essentially consuming the ingredients as a whole, with all the pulp and fiber, but in a liquid form. So if you use, say, one pound (450g) of fruit and vegetables to make your smoothie, what you end up drinking is a pound of smoothie. We are putting aside, for now, the added liquids like water, almond milk, etc. On the other hand, when drinking fresh juice, you are not consuming the pulp or solid fiber, but only the liquid and its nutrients. What this means essentially, is that it takes more produce to make a glass of juice compared to the amount needed to make the same glass of smoothie. So glass for glass, juice has an inherently higher concentration of nutrients compared to a glass of smoothie. There are a couple of exceptions to this which we’ll look at later. So what if you drink the same amount of ingredients? Would smoothies be more nutritious since they contain the whole fruit and vegetable? Well, the answer is a surprising “No.”. When testing juices and smoothies made of oranges, apples, spinach, and carrots separately, overall, juice came out as the winner when vitamins and minerals were measured. Except for calcium, which interestingly was higher in smoothies. But how could juice, being rid of the pulp, have more nutrients? Is it because of the heat that blenders produce during their fast spinning action? Is it due to oxidation? Or perhaps the time the cells of the ingredients stay in contact with the appliance? It seems that although blenders produced a bit more heat than juicers, this wasn’t enough to to be the culprit for the decreased nutrients. So was it oxidation? We know that oxidation occurs when the cells of fruit and vegetables are exposed to air. An example of this is when you chop an apple, and it starts turning brown if you don’t eat it immediately. But, if it was oxidation, why would this be more prominent when blending? The fact is that both juicers and blenders incorporate air during the process. The difference is that juicers, both slow and fast, push air into the liquid for a shorter duration. Blenders, however, aerate the liquid during the whole blending process, incorporating more air, thus exposing the cells to more oxidation. What's the difference in how our body digests juice and smoothies? It’s important to note the difference in how our bodies digest the two. 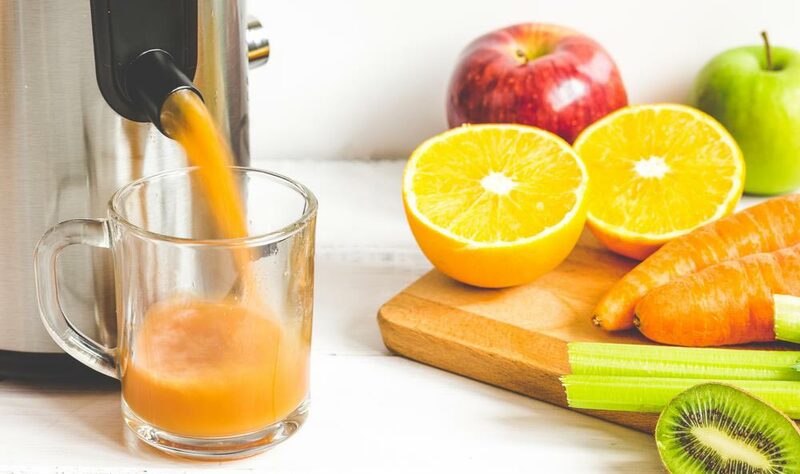 With juice, the juicer does all the hard work for you as it extracts the nutrient-packed liquid from the solids, giving your digestive system a break. This process is particularly beneficial to people with digestive problems. Our bodies digest juice very quickly, resulting in an almost immediate flood of vitamins, minerals, and micronutrients to your blood and cells. When it comes to smoothies, your body still needs to digest the liquefied solid fiber. Solid fiber is important however as it feeds the bacteria in our guts which in turn transform it into short chain fatty acids. These fatty acids can help fight harmful bacteria and support mineral absorption like calcium and enhance bone density. Additionally, when you remove fiber, you’re also removing some non-extractable nutrients, such as polyphenolic compounds, which are bound to the fiber. Fiber also slows down the absorption of sugars and can make you feel full for longer. Ensuring that you follow a healthy and fiber-rich diet makes juicing a way of boosting your intake of nutrients and antioxidants. It’s best to drink your smoothies immediately, due to their fast oxidation process. however, do not to gulp down smoothies, but rather sip them over some time, especially if you’re trying to lose weight. By doing so, you will give your body time to realize when you have consumed enough calories. You will feel more satiated and will feel hungry less sooner. Adding flaxseeds to your smoothies can also help you feel more satiated for a longer period. Again, the fatty acids in flaxseeds help with the absorption of minerals in the smoothie. From what we saw, it’s quite clear that both are good for you, and both come with their advantages. Therefore, including both in a healthy and balanced diet is a good first step towards improved health. A healthy and balanced diet should be rich in whole foods like fresh fruit and vegetables including plenty of leafy greens, beans, nuts, whole grains and seeds and plenty of water. Go for organic whenever possible. Avoid added sugars, processed food, fast food, sugary drinks, too much coffee and black tea, alcohol and artificial sweeteners. Avoid meats, eggs, dairy, and oils or at least keep them to a very minimum. I enjoy both my smoothies and juices, but I drink juice every day, as it gives me the boost in nutrients and antioxidants and it makes me feel great.